Have you always wanted to play the harp but don't know how to get started? Or are you already playing harp but want to take your playing to another level? If so, Harpfest 2016 is for you! 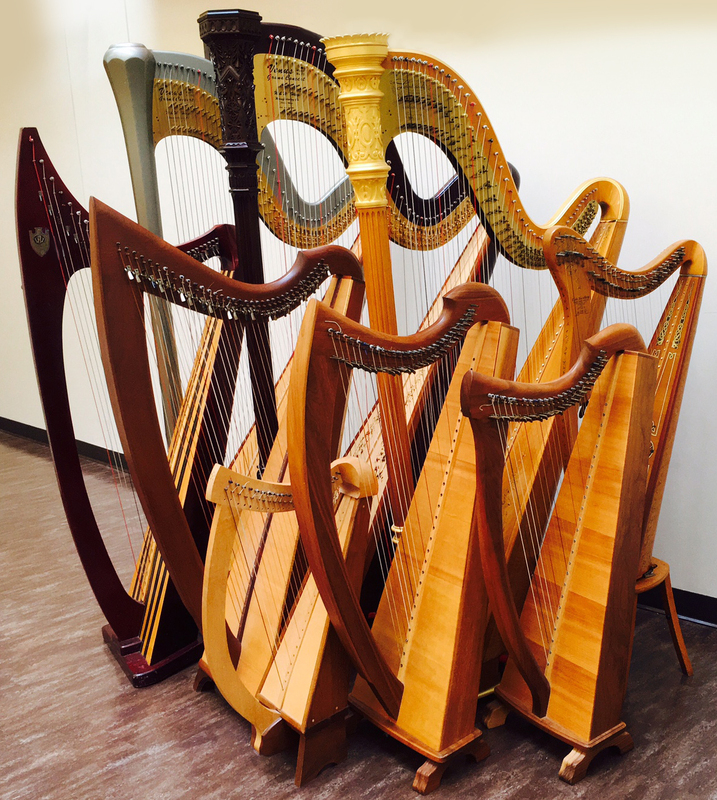 The UW-Parkside HarpFest 2016 is an inclusive one-day harp workshop and concert. Designed to serve both current lever and pedal harp students, and those who wish to get started exploring the harp, the event is open to all ages and levels of harp proficiency. A special session will be geared towards harp enthusiasts who have not yet purchased a harp or begun lessons. For the current harp student there will be classes on honing your skills, pushing to the next level, choosing a college, and evaluating careers available in harp. Also included will be a Masterclass, a harp ensemble “jam” session and a concert by our clinician. This workshop is open to harpists and non harpists from 3 to 8 grade, high school students, college students, amateurs, professionals, and harp enthusiasts. Our clinician for HarpFest 2016 is Anne Morse Hambrock harp professor at UW Parkside and Carthage College and principal harpist with The Kenosha Symphony. Ms. Morse Hambrock is also well known as a solo performer specializing in Jazz Harp and improvisation as well as Celtic and Classical repertoire. Ms. Morse Hambrock has been helping harp students of all levels find their unique "harp voice" for over 30 years. The workshops are at UW-Parkside "The Rita" in the music wing. Sessions are held in rehearsal room D184. Concert will take place in Bedford Concert Hall. For directions click here. Parking is available in Lot B.
HarpFest 2016 is on Saturday, August 20. Registration starts at 8:30 am and the concert begins at 4:30 pm. See our day schedule below. For full descriptions of each session scroll to the end of the page. There will be 20 harps of various sizes and types provided. Participants who wish to bring their own harp are welcome to do so but should email annesharp@tds.net ahead of time for planning purposes. Please download the registration form by following this link click here. Early Registration costs are $75 for the day or $15 per session and early registration deadline is August 17th. Harpfest day registration costs (August 20) are $100 for the day or $20 per session. Please note that there will be no refunds. Minors will need to bring a parent consent form, available here. Lunch will NOT be provided. Please bring all you need for lunch for the day. Harp participants will need a three ring binder stocked with lined paper and staff paper for taking notes. Harps will be provided but students may bring their own instruments if they prefer. Master class participants should bring a copy for the clinician of the music they are going to perform. Teachers who bring 3 or more students will get a free admission to the workshop. All family members accompanying student participants may stay in the workshop for no additional fee. Master class is taught by our clinician. Master class has a limited enrollment; to participate as a performer, send an email to annesharp@tds.net with your name and title of work you intend to play. Non performing attendees are welcome to observe from the audience. Sight reading - how much do I need it? Get personalized instruction from our clinician in a group setting. Participants will play a piece of no more than 10 minutes. All ages and playing levels. Limit 8. Non performing attendees are welcome to observe from the audience. Have fun playing with other harpists on easy pieces. All ages and playing levels – improvisation tips will be provided for players who do not read music or do not sight read well.